Although the majority of Innomikko projects are related to wintertime traffic, summertime traffic project are not unfamiliar either. In past years, the studies of this field have often been connected to the testing of automatical gravel road evenness meters. 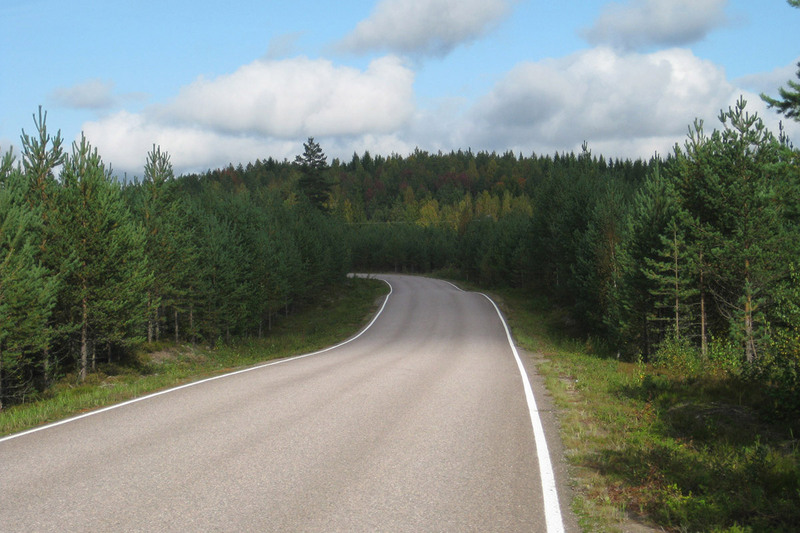 The Finnish Transport Agency has specified certain demands for gravel roads evenness. The automatical evenness meters make it easier to observe, estimate and compare different evenness situations. The connection between speed and traffic safety is undisputed. However, it’s not advisable to lower main road speed limits, because the travel times and transport costs will increase unreasonably. Instead, it’s possible to restrain speeding effectively with enhanced speed enforcement and lowered intervention limit. Malmivuo, Mikko 2017: Calibration test with renewed evenness meter. The Transport Agency inner report (only in Finnish). 11 pages. Malmivuo, Mikko 2015: Continuation development 2 of gravel roads evenness measurement. The Transport Agency inner report (only in Finnish). 38 pages. Malmivuo, Mikko 2013: Continuation development of gravel roads evenness measurement. The Transport Agency inner report (only in Finnish). 50 pages. Malmivuo, Mikko 2011: Change in the speed enforcement intervention limit and its effects. LINTU-publications 4/2011. 58 p. Finnish report with English abstract. Malmivuo, Mikko 2009: The light trailers in traffic accidents. A study financed by Finnish Crash Data Institute. 42 pages. Finnish report with English abstract. Malmivuo, Mikko, Rajamäki, Riikka 2008: Effect of intensified automatic speed control and decreased tolerance on traffic safety. LINTU-publications 1. 49 pages. Public report with English abstract. Malmivuo, Mikko, Sihvola, Niina 2007: Effectiveness of technical roadside inspections. Finnish Transport Safety Agency. Research reports 11/2017. 44 pages. Public report with English abstract. Ristikartano, Jukka, Spoof, Harri, Räsänen, Jukka, Malmivuo, Mikko 2005: Impact of road condition on driving costs for paved and gravel roads. Finnish Road Administration reports 53/2005. 68 pages + app. Finnish report with English abstract. Malmivuo, Mikko 2005: Tractors in traffic accidents. A study financed by Finnish Crash Data Institute. Burrow, Ian, Coe, Graham, Leben, Bojan, Malmivuo, Mikko, et al.. 2005: FORMAT Deliverable Report: D11, Bryssel, European Commission (an EU-project aiming at decreasing traffic accidents in roadwork areas). 39 p.
Malmivuo, Mikko, Peltola, Harri 2004: Estimating safety effects with effect factors. The determination of Tarva-software effect factors. Finnish Road Administration inner reports 1. 69 s.
Kallberg, Veli-Pekka, Anila, Matti, Hytönen, Jouni, Malmivuo, Mikko, Ritari, Erkki 2002: The perception distance of the train in railway crossings. VTT research report RTE 759/02. 29 p. + app. Malmivuo, Mikko. 1999. Effects of sight distances on the behaviour of drivers approaching a junction from the minor road. Finnish Road Administration reports 41/1999. 40 p. + app. Finnish report with English abstract. Peltola, Harri, Kajajisto, Petteri, Kulmala, Risto, Leden, Lars, Malmivuo, Mikko, Martamo, Reijo, Seppelin, Carina 1999: Traffic safety of unprotected road users on Finnish main roads outside urban areas. Finnish Road Administration reports 43/1999. 103 p. + app. Finnish report with English Abstract. Räsänen, Jukka, Tervonen, Juha, Jantunen, Jutta, Mikroudis, George, Malmivuo, Mikko, Himanen, Veli 1999: CODE-TEN (Strategic Assessment of Corridor Developments, TEN Improvements and Extensions to the the CEEC/CIS), Deliverable D6: Spatial Distribution of Environmental and Safety Impacts. Theoretical Background and Methodology development. Ranta, Susanna, Mäkinen, Tapani, Malmivuo, Mikko 1998: Preventing running of the road and head-on accidents with profiled road markings. Finnish Road Administration reports 1/1998. 40 p. + app. Finnish report with English abstract. Malmivuo, Mikko 1997: Improving junction safety by changing side direction. Preliminary study. Finnish Road Administration inner report. 61 p.